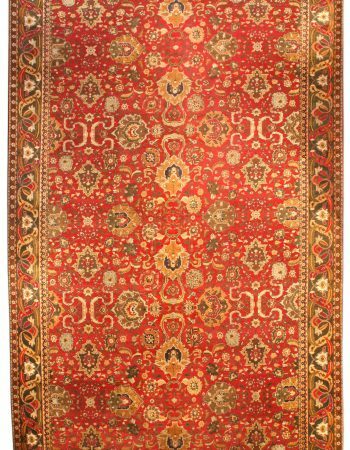 This antique Persian rug embodies the geometric northwestern style of Malayer craftsmanship. 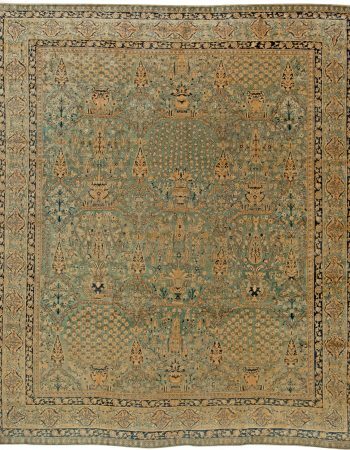 Rendered in an utterly tasteful color palette of beige brown and gold, the carpet will easily match a wide variety of contemporary interior arrangements, bringing in a great deal of warmth. 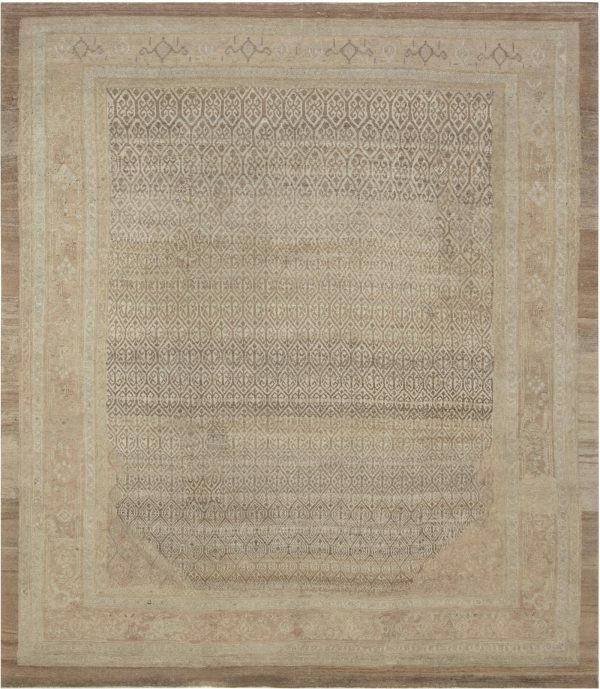 The main field of the antique rug is covered in an allover pattern of hexagons, each containing a double elibelinde. 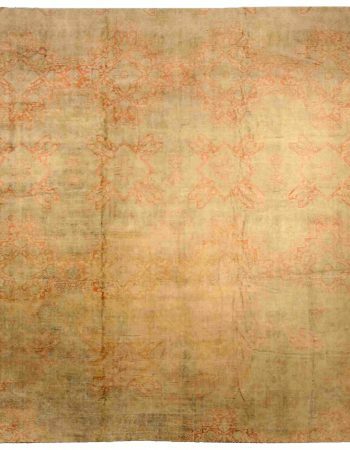 Elibelinde – hands on hips – is a classic kilim motif representing feminine fertility. 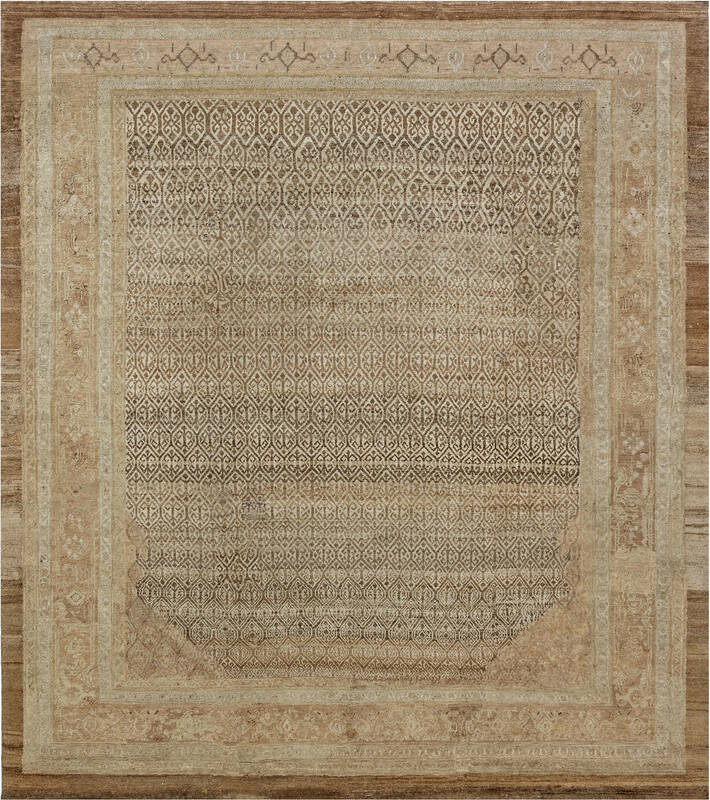 The main design is enclosed within a series of quite pronounced borders with further kilim motifs. 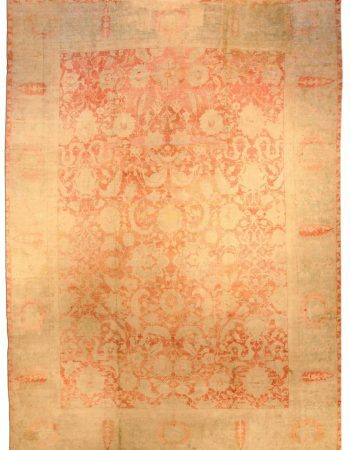 The Malayer rug carries signs of abrasion which gives it a very unique character and indicates that natural dyes were used in the production process. 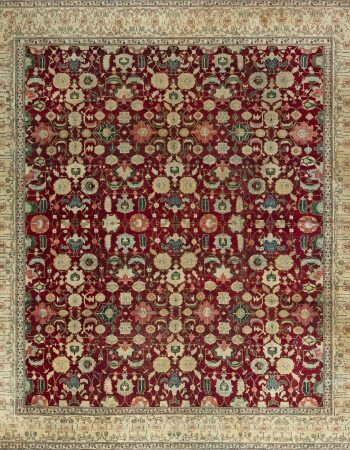 In addition to beautiful appearance, this antique carpet can boast of impeccable execution. It was thoroughly hand-knotted of the finest wool in accordance with centuries-old techniques. If properly maintained, it will serve its owners many years, being not only a decorative element but a genuine work of oriental art.